A federal appeals court upheld a nationwide injunction against President Donald Trump’s termination of the Deferred Action for Childhood Arrivals (DACA) program Thursday. Supreme Court action could soon follow. The Trump administration asked the high court to intervene in the DACA cases Monday. The move was highly unusual, as three federal appeals courts, including the 9th Circuit, are separately reviewing orders requiring the government to continue administering DACA. The justices seldom review a case before the circuit courts issue judgment. The University of California (UC) brought Thursday’s case after the U.S. Department of Homeland Security (DHS) issued a memo rescinding DACA on Sept. 5, 2017. Former Attorney General Jeff Sessions sent a memo to DHS advising that DACA was not lawful one day prior on Sept. 4. The administration argues that its decision to end the program is not reviewable in court, since DACA is a purely discretionary executive branch initiative. 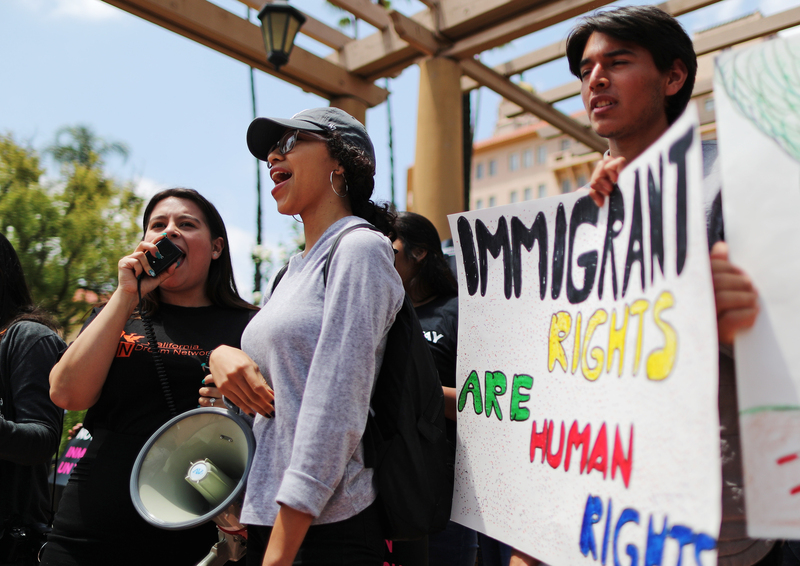 They also say a federal law called the Immigration and Nationality Act (INA) prohibits judicial review of claims arising from deportation proceedings. The court cautioned that DACA could still be legitimately discontinued, provided the government did so on a different basis. Writing separately, Judge John Owens said there was sufficient evidence that the government’s action was tainted with racism. “I would hold that plaintiffs have plausibly alleged that the rescission of DACA was motivated by unconstitutional racial animus in violation of the equal protection component of the Fifth Amendment,” he wrote. Other decisions as to DACA termination are currently pending before federal appeals courts in New York and Washington, D.C.